It’s time to bring your travel business up a notch! We have made just the perfect theme for travel agency websites with astonishing features that are great for showcasing your tourism projects! You can present your tours & destinations in great detail and have people book trips online thanks to the powerful online booking system that comes included with the theme. 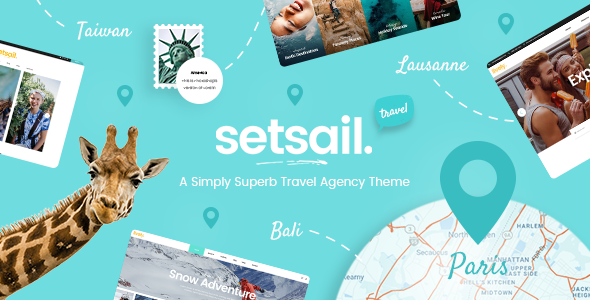 SetSail comes with a collection of stunning predesigned homepages that can be modified to fit your travel business needs. Get SetSail and create a remarkable travel website! Use the following credentials to sign-in, take a closer look inside and check out how the users will see your new website! Try out and explore all the options and functionalities, such as adding new tours/listings/properties/see how booking a room looks, edit and manage your account and much more.